Label compliance - Full label compliance with bilingual nutrition facts table, ingredient and allergen statements, product names, and final review. Food Import Consulting - Full investigation and government application process to ensure your new food product is successfully imported and sold in the Canadian market. CFIA regulatory support - Answers to your regulatory questions during label review and additional support to ensure your food labels are CFIA compliant. 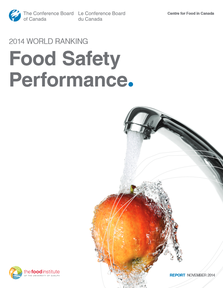 As found by the Conference Board of Canada, Canada has some of the most rigorous food safety standards in the world. Their 2014 report ranked Canada's food safety against 16 other Organisation for Economic Co-operation and Development (OECD) countries. Click "here" to view their executive summary. These high standards are carried over to the label requirements for each food product. Food Labels Canada provides consultation to importers, allowing them able to effectively navigate the challenges of the labelling requirements for their food products. When food products come to an entry point into Canada the Canada Border Services Agency (CBSA) is responsible for the initial import inspection of food, agricultural inputs and agricultural products. The CFIA sets the policies and regulations for these importations and they are enforced by CBSA at Canadian entry points. Through Canadian label consulting, Food Labels Canada builds partnerships with its clients. We are dedicated to achieving our clients goals and providing world class service. Have our experience with the labelling regulatory compliance and Canadian labelling laws be your strength, as you focus on marketing and selling your food products. If you need some assistance navigating the Canadian Food Inspection Agency labelling requirements. Use Food Labels Canada consulting. Contact Food Labels Canada today.